Ukraine in 2019 will sharply increase the export of fresh berries, primarily blueberries, to Europe, to the Middle East and to the countries of Asia. The export of blueberries can reach 4.5-5 thousand tons, which is twice as much as last year. This was stated by an economist at the investment department of the Food and Agriculture Organization of the United Nations (FAO), Andrey Yarmak, commenting on the preparations for the Global Berry Congress (Global Berry Congress), the press service of Fast-Fruit reports. “For many years we have been systematically and purposefully promoting Ukraine as a potentially one of the most important suppliers of berries to Europe, the Middle East and Asian countries. In 2019, we expect a sharp increase in exports of fresh berries from Ukraine, primarily blueberries. Our estimates show that the export of blueberries from Ukraine can reach 4.5-5.0 thousand tons and will be a record, exceeding the last year record at least twice, ”said Yarmak. He said that last year Ukraine surprised the berry world during the Global Berry Congress with the rapid development of the production and export of raspberries. “My forecast for 2018 was considered by all to be too optimistic. However, the real export volume of berries exceeded my forecast by almost a third! ”Said the expert. 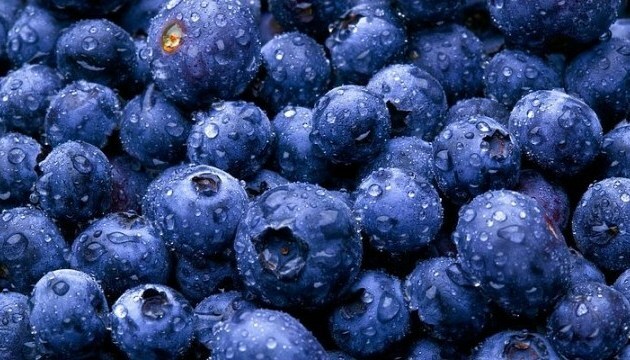 According to analysts, the expected sharp increase in the harvest of blueberries in Ukraine in 2019 will lead to a decrease in domestic prices, which will stimulate the development of exports. In particular, almost all major blueberry manufacturing companies are already actively certified according to the GlobalG.A.P standards, as well as expanding the chilling, storage, sorting and packaging of fresh blueberries for export. In order to realize ambitious export plans and avoid a price collapse of blueberries, Ukrainian producers are actively looking for markets. So, at the end of March several farmers-producers of blueberries from Ukraine will take part in the trade forum Fruit Trade Ukraine - Middle East, which will create opportunities for the supply of berries to this region in the summer of 2019. The forum is organized by FAO and EBRD with the support of the European Union as part of the EU4Business initiative, as well as the Ukrainian government and the Dubai Chamber of Commerce. As is known, the Global Berry Congress (Global Berry Congress) will be held March 26, 2019 in Rotterdam.